A sequel to the recently wrapped anime based on the Key Clannad franchise. After Story is a path that opens in the original visual novel after all the other paths have been opened. 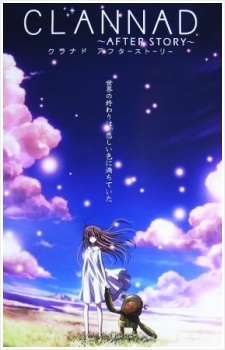 Watch Clannad: After Story Episodes Online at Animegg.org. Clannad: After Story is available in High Definition only through Animegg.org. Choose an episode below and start watching Clannad: After Story in Subbed & Dubbed HD now.